The Boston-Haifa Early Childhood Connection is off to another great year. We opened the year by distributing Israel resource bags containing music CDs, brochures, posters, and much more to more than 30 Boston-area preschools. Over the course of the 12 years of the Boston-Haifa Early Childhood Exchange, the program has expanded greatly in both cities. Locally, over half of the Jewish preschools (18) and their staffs have been involved in the Connection, participating in the Israel Exchange, the local network, or in seminars when the Haifaim come to Boston. We developed joint themes on family education, water, nature, greening the environment, and special education; visited and taught in each other’s preschools; explored nature; visited early childhood music, art, and science enrichment centers; interacted with Arab children, teachers, and supervisors; visited preschools with Ethiopian and Russian immigrant children in low socio-economic sections of Haifa; and visited the Haifa Center for Blind and Deaf children. We have conducted many videoconferences over the years sharing curriculum ideas and teaching strategies for the holidays that incorporate math, science, art, and language activities. 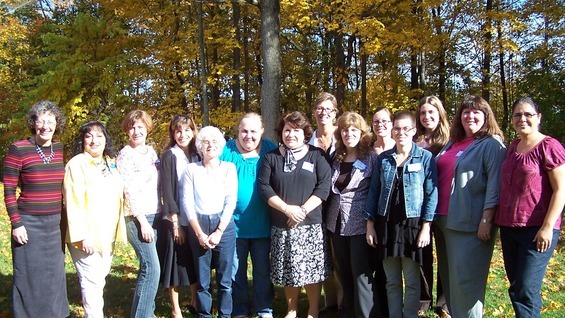 The Haifaiim, in turn, formed their first local network of preschool educators, experienced the Jewish community outside of Israel, and explored Jewish identity, values, and themes. They have enjoyed our family education programming, teacher-made materials, and special education resources. Hundreds of families have felt the impact of the Connection, as teaching strategies and curriculum ideas have been integrated into the preschools. There has been a strong personal and professional connection among the educators. Rachel Raz is the Associate Director of the Early Childhood Institute at Hebrew College and the director of the Boston Haifa Early Childhood Connection. Naomi Chernin is the School to School Coordinator for the Boston-Haifa Early Childhood Connection. The First Annual Early Childhood Conference will be held at Hebrew College on Wednesday, December 8, 2010. The conference is open to preschool educators in the greater Boston area and is funded by CJP, Boston-Haifa Early Childhood Connection. For more information and to register, please contact Ami Blaszkowsky, Program Manager, Shoolman Graduate School of Jewish Education, at ablaszkowsky@hebrewcollege.edu or at 617-559-8624.